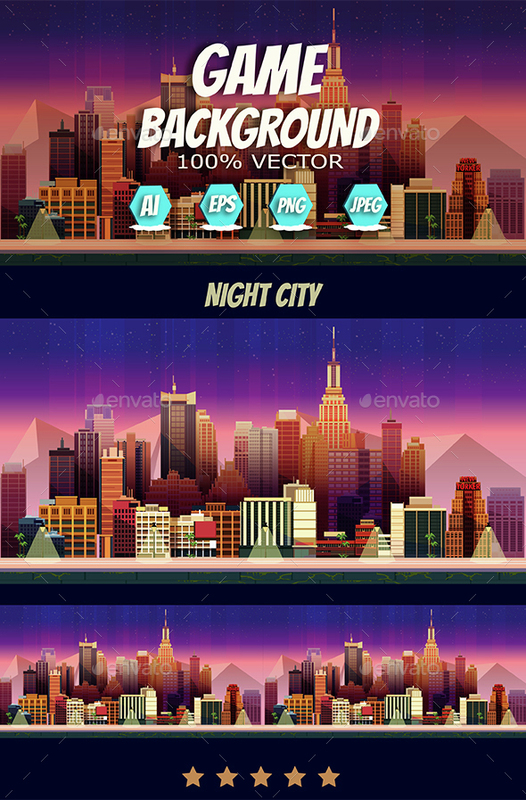 Stylized vector city game Background. You can use this background for your game application/project. The Game background is made with 100% vector. You can edit it with illustrator software. File-size: 1024×512 – That is designed for ipad. More over you can edit it since it is vector and layered.